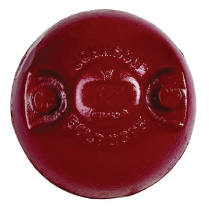 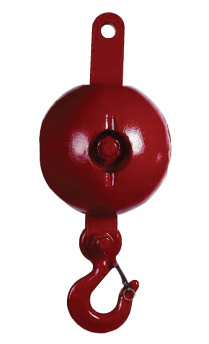 Gunnebo Johnson Corporation overhaul balls supply the downhaul weight necessary to counter bearing friction and winch-to-boom-tip line weight. 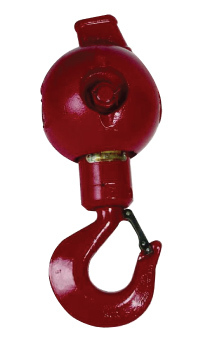 Because these units must meet a wide range of field applications, we offer an equally wide range of unit sizes. 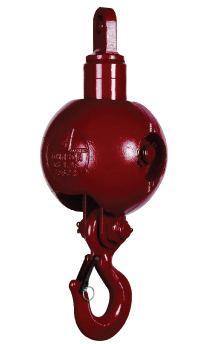 It is in fact, one of the widest ranges available — over 240 models, 35 through 1,478 pounds 3 through 30 tons W.L.L. 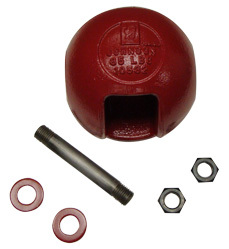 All Gunnebo Johnson Corporation swivel overhaul balls call for periodic lubrication, with no disassembly required.